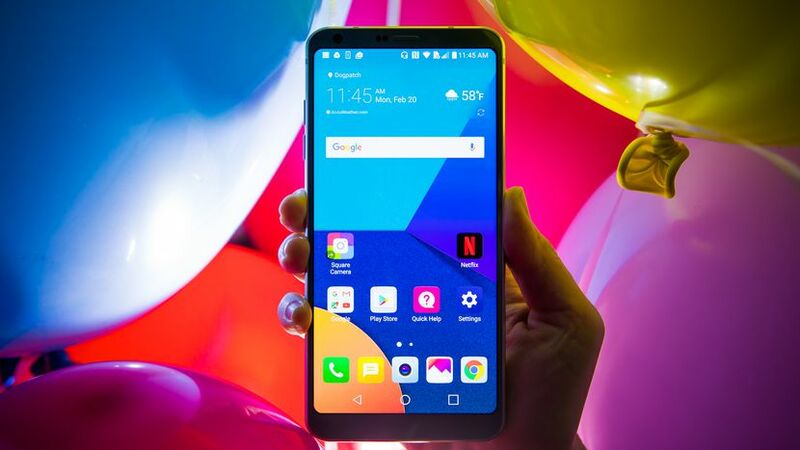 The South Korean company LG is all set to launch its new smartphone LG G6, at an event in New Delhi on Monday. Pre-bookings have been already open for the mobile phone, along with Rs. 7,000 cashback and a discount on its LG Tone Active+ HBS-A 100 wireless headset by the company. As far as the price of the smartphone is considered, it is expected to be priced at Rs. 51,990 and will go on sale on April 29. The pricing news can’t be confirmed right now and can be only confirmed once the smartphone is officially out for the launch. LG G6 was revealed at MWC 2017. It runs on Android 7.0 Nougat out-of the box. It features a 5.7 inch QHD+ (1440×2880 pixels) Full Vison display and touts a near bezel-less front with an 18:9 (or 2:1) aspect ratio. The smartphone is powered by Qualcomm Snapdragon 821 SoC. It has 4 GB of LPDDR4 RAM. LG G6 has 32 GB and 64 GB storage options, which can be expanded upto 2 TB via a micro SD card. LG G6 flaunts a dual camera setup on the back with two 13- megapixel sensors- one o f which is for wide angle shots with 125 degree lens and f/2.4 aperture, and the other for regular shots with 71- degree lens and OIS 2.0. Front camera has a 5 megapixel wide angle lens with f/2.2 aperture and 100 degree lens. The connectivity options for this smartphone include Wi-Fi 802. 11 a/b/g/n/ac, Bluetooth v4.2, NFC, and USB Type-C 2.0. It supports LTE-A3 Band CA network too. LG G6 mobile is backed by a non- removable battery of 3300mAh. The mobile measure 148.9×71.9×7.9mm and weighs in at 163 grams. The color variants you can get in the smartphone are Astro Black, Ice Platinum, and Mystic White color options.